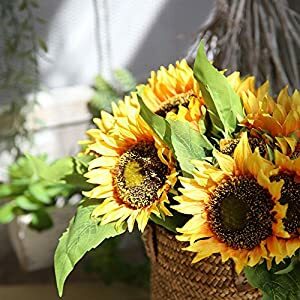 Artificial Sunflower Flowers – People love silk sunflowers mainly because of their round, clear shapes and bright colors. They summer are among the favorites of many newlyweds. They are perfect for both – traditional and modern weddings. 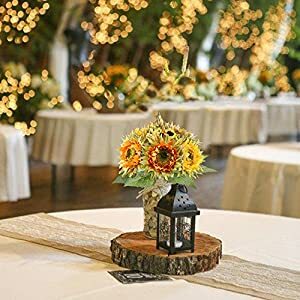 It is easy to combine with other types of flowers like this silk sunflower candelabrum, so they can fit in with any wedding theme. The point is to make it look classy and not to exaggerate with their number. The best time to bring a sunflower detail is July, August and September. 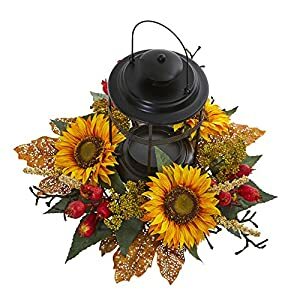 The correct name for a sunflower is a Helianthus. Luckily along with silk sunflowers not needing water they also do not have the problem the live ones do – they do not spread rapidly!